This article will cover the process of determining whether you are exceeding the resource limits on the server. This article will also cover the basic troubleshooting procedures and it will help you in determining the appropriate course of action if the resource limits are frequently exceeding. Being a dedicated server customer you might be familiar with the resource usage limits on the server as well as the resource parameters. Always remember that Serverproduct is a self-administered hosting service. On a Server, the resource allocation system is replaced with the VSwap, which simplifies the process of memory management as well as troubleshooting. VSwap provides the virtualized swap memory to the server if it is exceeding the guaranteed allocation of RAM. One should remember that it is different than that of a standard swap memory, because it is not been actually written to disk. However it is actually considered to be equivalent to that of traditional swap in terms of its performance. VSwap can be considered more accurate that of a ‘burstable’ RAM which is provided through the Beancounters management system. 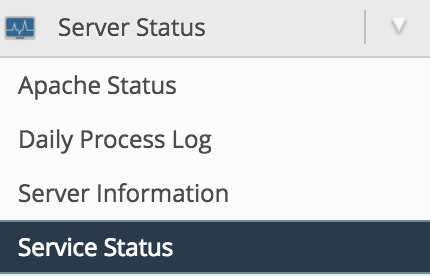 If you are suspecting that the server might be overusing the resources, then you need to check the Resource Alerts. You might also want to install a Server Health Monitor utility which is provided by the Plesk. This provides an interface of easy monitoring of many of the important aspects of a server. Now you need to click on the Tools and Utilities which is on the left sidebar, now click on the manage your container link. If the color is yellow then you are approaching the purchased resource limits. If it is a Red color then the you are reaching current physical machine limits. A green color indicates back to normal and safe operating limits. Here all the currently monitored services will be listed. You need to scroll to the bottom of the report on the current CPU usage. You can also use the page for adding the services for monitoring via the link which is at the top of the page. Now Click on the tools and utilities which is in the left sidebar. Now you need to scroll down to the Server Management section and then click on the manage your container link. You will be able to see the output which is similar to that which is mentioned at the top description above.Now you need to Click on the Enable Autofresh for making the output closer to live. This is not as effective as that of running to the top in SSH, because the PLesk has to generate the graphics.